There can be no doubt that Paris is one of the world’s truly great cities. The “City of Light” is one of the most popular tourist destinations on the planet. Some cities get so much hype that can be disappointing when you get there but Paris exceeded my expectations. 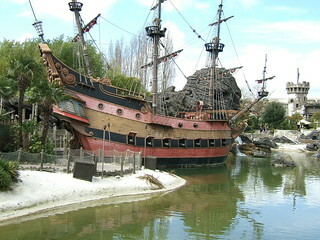 Here are six top Paris attractions. 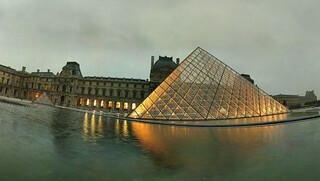 Since it opened in 1793 the Louvre has been regarded as perhaps the world’s greatest museum. Of course the biggest reason for its popularity is a piece of art, the iconic Mona Lisa. This is not the sort of museum that you can see in an a couple of hours; so it is best to plan out what you would like to see using one of the printed tour guides available. Even if you don’t go into the Louvre, you can have a drink at Cafe Marly, at the edge of the courtyard which has views over the glass Louvre pyramid with the Arc de Triomphe and the Eiffel Tower on the horizon. Some people say that if you’re short of time, don’t like crowds or not that into art, the Musee d’Orsay is a better bet than the Louvre. Of course it is impossible to visit Paris without at least catching sight of the structure that has come to represent the city, the Eiffel Tower. A trip up to the top of the tower is also one of the Paris must-dos, unfortunately its popularity means that the queues to ascend can be very long. Made world-famous by the book and the film, the Notre Dame Cathedral does not disappoint, even if there is not a hunchback in residence. Having taken more than a century to construct, the cathedral leaves nearly all visitors in awe as they marvel at its beauty and overwhelming size. It’s free to enter the Cathedral but you have to pay if you want to climb the towers for great views of the city. 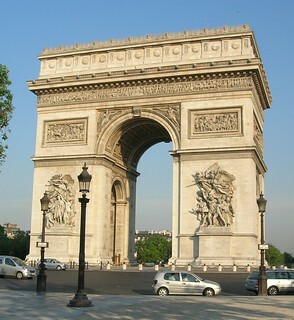 The Arc de Triomphe was originally a whim of French leader Napoleon Bonaparte, in order to honour the triumphs of his army. Now it is another symbol of the city. Most people do not realise that it is not just an exterior photo opportunity, but it’s possible to climb the 280 steps in order to take in an alternative view of the city. There’s no entry charge for young people under the age of 18 if they’re accompanied by an adult on a family visit. Billed as a 21st century science museum with an emphasis on interactivity, you can go on board the Argonaute submarine and try the Cinaxe flight simulator. It’s said to be one of the best science museums in the world. Not quite a Paris attraction, as it’s located 20 miles from Paris, but it was the highlight of our teenage sons visit to Paris. It’s easy to reach by train. Our sons were up early to get there to make the most of their day tickets. Photo Credits: paulbeattie, ranopamas, shoey, mukluk.